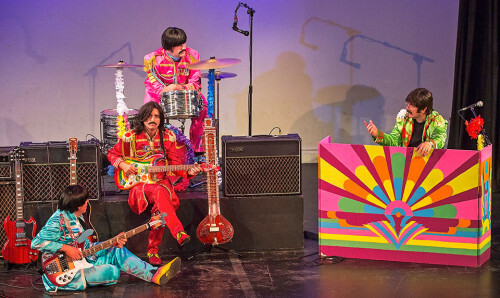 THIS IS NO ORDINARY BEATLES SHOW! Roger used to be with the band “Hot Stuff”- and was signed to Ariola Records (now RCA), where he toured worldwide and had 3 hit singles. He has performed at many prestigious venues including The Empire, Leicester Square and The Park Lane Hotel. Roger appeared on the hit TV show – “New Faces” – and was a finalist the night that Patti Boulaye won the title! 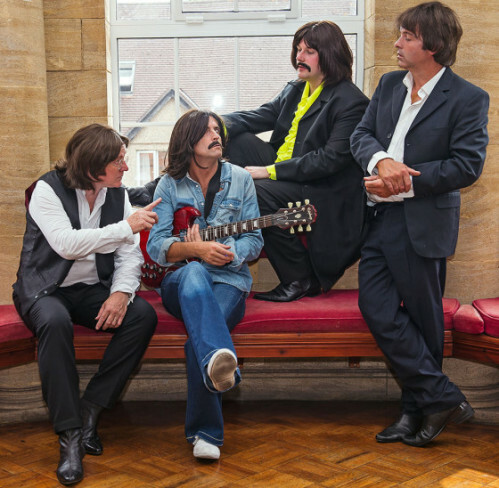 Simon has been on the stage for ten years as part of The Beatles Revolution Show, The Ultimate 60s Show and The Glory Days Rock Show – in which he played multiple roles as Sting, Freddie Mercury, David Bowie, Bono and Paul McCartney. Is there no end to his talent? 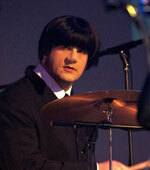 He is now very proud to be a part of The Upbeat Beatles. 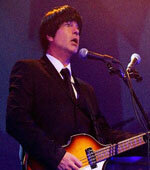 Colin Yates is a classically trained musician, having studied at The Trinity College of Music, London. 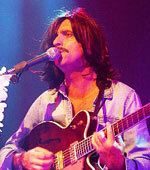 He has been performing solo and in bands since the early 80s but it is taking on the role of George Harrison that has brought him the most success. James has been a musician for 12 years, starting out at home playing cardboard boxes while his brother played guitar. When he turned pro aged just 15 he started his first Beatles tribute band, which saw them grow from the pubs and clubs of the north east to worldwide success including trips to France, Belgium, Holland, Belarus and they twice embarked on a six week tour of New Zealand. They also performed on numerous radio shows and even made an appearance on BBC’s Blue Peter. 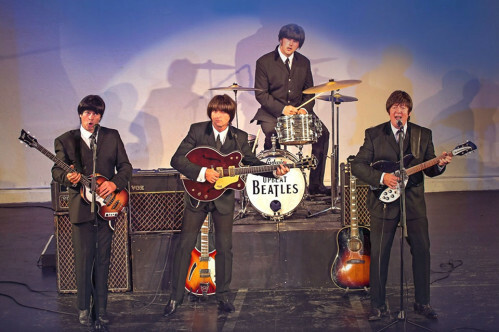 After the group disbanded James continued to work on the “Beatles scene” with different groups that saw him working on cruise ships around the globe and doing extensive theatre work in the UK. He also worked with other groups and artistes including Roy Orbison, Buddy Holly, Jonny Cash and Rolling Stones tributes. “That’s the first time anyone has ever actually danced at this annual function!!!”. The Beatles were the band that shook the world……. Now……. 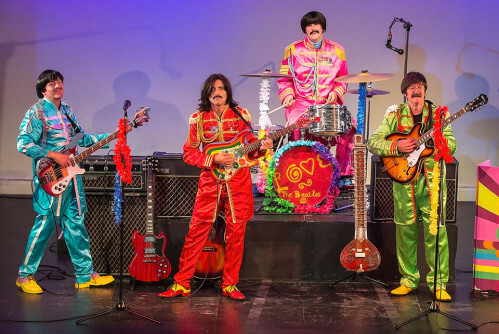 Let The Upbeat Beatles ROCK your night! 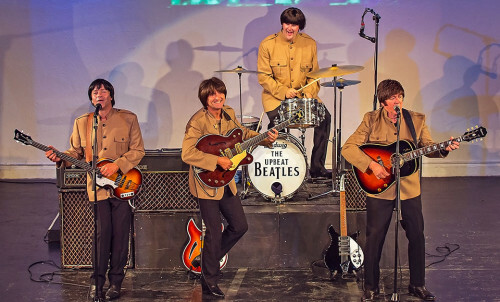 “My husband and I went to our local theatre to see The Upbeat Beatles at quite short notice. As a Beatles fan, all my life, I was both looking forward to AND dreading the gig! I was wrong to worry, it was a fab night!